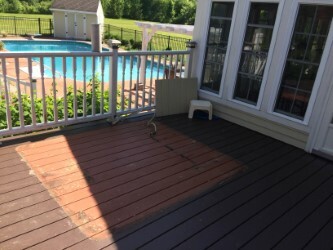 Are you demolishing a deck or redoing your master bathroom? If these projects require getting rid of a hot tub, get in touch with JDog Junk Removal Atlanta Region right away. We offer hot tub removal, along with hauling away many other oversized items. We'll know how to carefully and safely get these heavy fixtures-which can weigh up to 800 pounds when drained-off your residential or commercial property. DIY spa removal can result in property damage and personal injury, but JDog Junk Removal Atlanta Region is trained to handle the job the right way. Learn more by calling or e-mailing us today! What sets us apart from other companies offering Jacuzzi removal in the greater Marietta area? For a start, we know how to remove a hot tub efficiently. If you need that fixture gone fast, we're the team to trust. Beyond our speedy service, we know how to properly dispose of all of the components. We offer hot tub recycling for units that are still in good condition, as well as dump disposal. When you call to discuss your spa removal needs, we'll be happy to offer a free cost estimate. JDog Junk Removal Atlanta Region is the region's fast, reliable, and reasonably priced choice for hot tub removal. 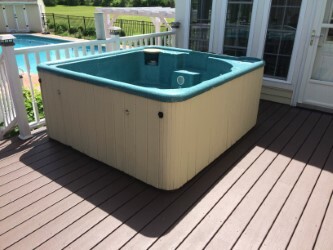 After dismantling the tub itself, we'll clear away all of the debris, leaving you able to finish your remodel, install a new hot tub, or simply enjoy the open space. It also goes without saying that we follow all local rules and regulations related to Jacuzzi removal. Hire our pros, and you can have the peace of mind that comes from getting quality service. For your protection, JDog Junk Removal Atlanta Region is fully insured for the work we do across the Marietta region. That means you can breathe easy putting your old hot tub removal in our capable hands. 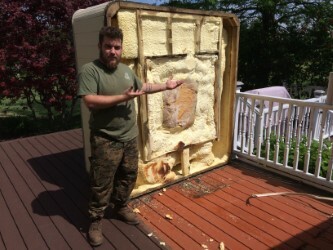 As a veteran-operated business, we care about doing the job JDog Junk Removal & Hauling LLC - Hot Tub Removal correctly. We're affiliated with several local chambers of commerce, as well as being members of the Small Business Strategic Alliance (SBSA) and many other organizations. When it comes to hot tub recycling, choosing JDog Junk Removal Atlanta Region is just a good call. Ready to book your appointment? We offer 24/7 emergency services, or you can schedule in advance for less-urgent hot tub removals. Call now!